Knowing more about litter is the first step in defeating it and improving your community – and it starts at a young age. All across Louisiana, students are championing the anti-litter cause and taking action. We work closely with teachers to educate their students about the importance of keeping Louisiana beautiful. And that’s only the beginning. Here are some resources we’d like to share that will help you learn more about all things litter, recycling, waste and improving your environment. In the fall of 2016, Keep Louisiana Beautiful unveiled its newly created environmental education program, tailored to Louisiana youth grades in grades kindergarten through 4th grade. What makes the program so unique is that it takes real-life examples in our state and discusses environmental challenges unique to Louisianans, and then gives them tools to be able to tackle those challenges in their own communities. The program was created in coordination with Louisiana Green Schools and meet appropriate GLE’s (grade level expectations), so that they fit in seamlessly with the current curriculum. The curriculum and activities were created with teachers in mind and provides all the resources they need to carry them out successfully. 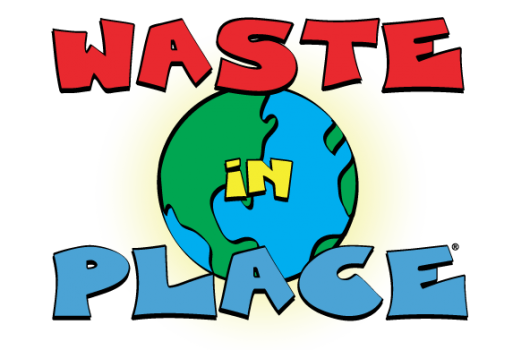 Waste in Place is a resource guide for educators to use with Pre-K to 6th grade students created by Keep America Beautiful. The guide is used to help students learn about litter prevention, beautification and community greening, recycling, and managing solid waste. With the support from the Wrigley Company Foundation, Keep America Beautiful completed a two-year process to transform its Waste in Place resource guide, which includes over 100 activities for pre-K to sixth-grade students. The Waste in Place kit includes multi-dimensional educational programs that encompass activities for classroom learning, as well as children’s books, a board and card games, and story cards. The materials are used nationwide by thousands of teachers to influence positive behavior, to foster social responsibility and respect for the environment, and to enrich their students’ learning experiences. Raise student awareness about the environment and inspire them to take pride in their community with a storybook and lessons for grades 2 and 3.